Crawley Town striker Jamie Proctor has spoken of his relief after scoring his first two goals for the club. The 20-year-old hit a brace in Saturday's win over Bury on what was his sixth appearance for the Reds. He told BBC Sussex: "Patience is key for a striker but you have got to get the goals to be staying in the team. "I am doing everything else - working hard, holding the ball up and winning my headers - but those are not the things that will win you games." He added: "The more games that drag on without a goal you start to think about it. "Now I'm in there I can relax a little bit more." 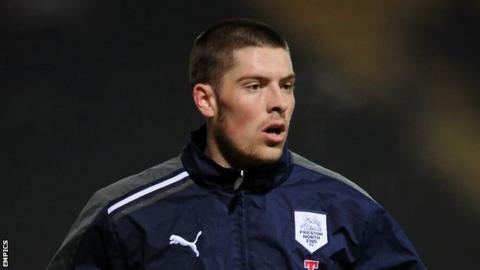 Proctor signed an 18-month deal when he joined the West Sussex club from Swansea for an undisclosed fee in January. The two goals against Bury opened his account for the season, following a three-game loan spell at Shrewsbury earlier in the campaign. "I have worked hard in the games I have played so far and helped the team as best I can but to get two goals is very pleasing," he continued. "You do sort of want a bit of luck - the ball to fizz across, come off you and go in - and then you are up and running straight away. "I haven't had any of those chances in the first games but I had a couple I should have done better with." Meanwhile Proctor, who didn't make a first-team appearance during his five-month spell at Swansea, says he is still building his fitness levels. "With every game I am feeling a lot better," he said. "Towards the end I do keep tiring but that is my general fitness, which will come. "Match fitness is hard to get as you are not really going to get it in training. "By the time I get to 100% I think the season may have finished. But I'll come back next season flying."